Webster University regional director Sandra Kunz has been appointed by Oklahoma Gov. Mary Fallin to the state's Commission on the Status of Women. The commission is a nonpartisan body that informs and educates the legislature, state executive, and Oklahoma citizens about women’s issues. In this work it also partners with other organizations and agencies statewide to provide resource information, expertise and input on women’s issues. The appointment is for a five-year term on the commission. Having been active in women's leadership issues in the community around Webster University's Fort Sill location, this appointment was a welcome opportunity to reach even more people. Kunz previously served on the Lawton, Oklahoma, Mayor’s Commission on the Status of Women representing Fort Sill. "As a military spouse, I have had the privilege to volunteer in numerous organizations serving our respective communities," Kunz said. She joined the Lawton mayor's commission at the invitation of Dave Ralston, commanding general, serving as chair until 2011. She will serve on additional boards Gov. Fallin's appointment. 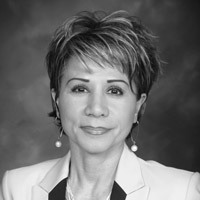 That opportunity connected her with other women's leaders who collectively asked, “How can we better serve women in our community?” Along with these colleagues she has helped create several avenues that expand opportunities for women. "We offered Lawton the first women’s conference with state Rep. Ann Coody opening the conference and our local TV news covering the event," she said. "Of course, we had the opportunity to welcome attendees with a Webster bag as they attended the three conference tracks in Education, Human Resources, and Human Services. The opportunities for women and Webster's educational offerings certainly aline." "Now I'm looking forward to getting to work with the other commissioners to continue serving our community."